Maui is a tropical paradise like none other. It was where I finally made good on a promise that someday Mrs. Wilko and I would travel to a nice location to make up for the honeymoon in Wisconsin 33 years ago. “Someday” finally arrived for the two of us last week and it was better than advertised. 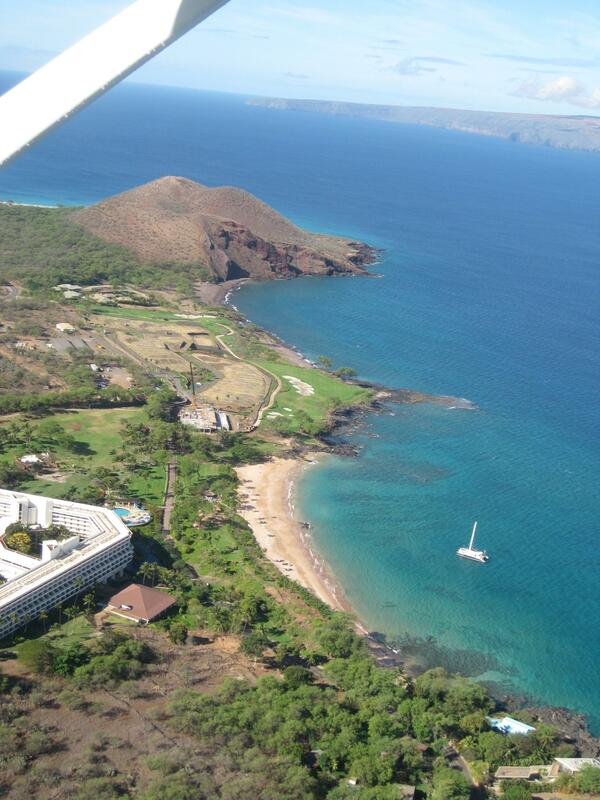 One of the “must do” items was renting a plane and flying around the islands. 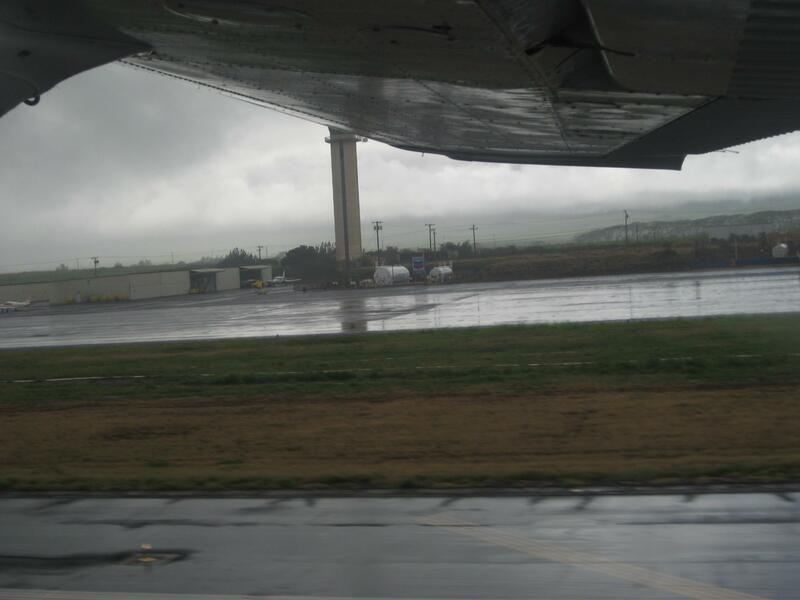 To do this, I headed to the only airport open to general aviation which is the busy terminal in Kahului. There’s two ways to get access to a plane at a FBO. Either you get checked out in the plane or fly dual with an instructor. I’ve done both when travelling across the U.S. and this time it was more efficient to fly with an instructor with my wife snapping away from the back seat (with the final tally at 230 aerial shots). The instructor didn’t do any instructing but most operations won’t part with an expensive airplane unless they’re sure of your skills or have someone in the right seat as plan B. We were greeted warmly by a guy who had all the appearances and mannerisms of Surfer Dude. Not that there’s anything wrong with that. He was a great guy, but very relaxed in his approach. “Hang Loose” is the common expression in the Islands. Hanging Loose and flying just never went together in my vocabulary. It was raining and rain brings poor visibility and ceilings. “Not to worry” says Rick our instructor. “It’ll be fine after we head South”. Hang Loose. I was skeptical, having been burned by IMC conditions in the past without filing a flight plan from the get go. We launched in a 172SP behind a commuter jet and after flying through many holes and layers in the clouds we found partly cloudy skies and bright sun. 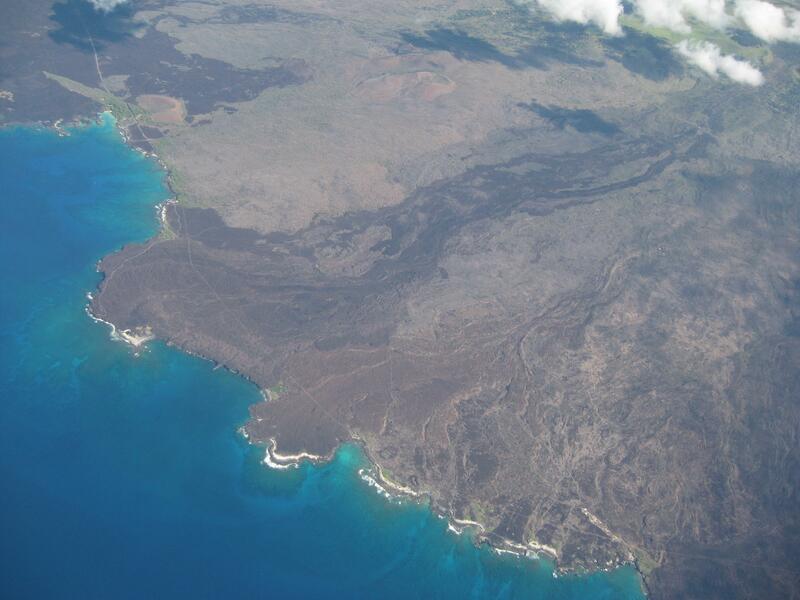 Turning north, we passed over Molokini crater offshore of Makena which is a world-famous snorkel and dive destination. The crescent island is over-run with hundreds of snorkelers every day and already I could already see 12 large dive boats barges. I reminded myself there would be more secluded locations to scuba dive later in the week. We could see the many golf courses in Wailea which is one of the trendier (and more expensive if that’s possible) towns in Hawaii. I can see both the West Maui Mountains and Mount Haleakala . The trade winds blowing from the North East accelerate through the valley and create ideal conditions for wind-surfing. They also create a great deal of turbulence. 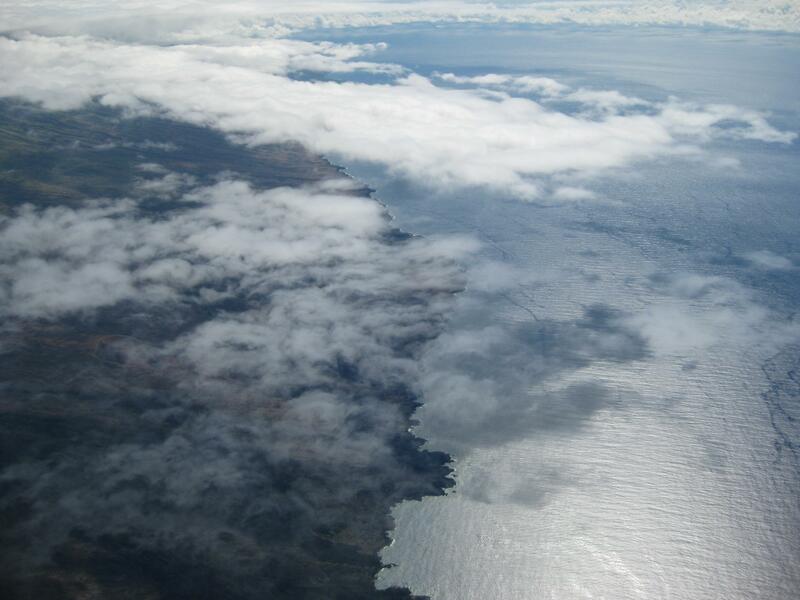 You can see the wind shear line on the water. 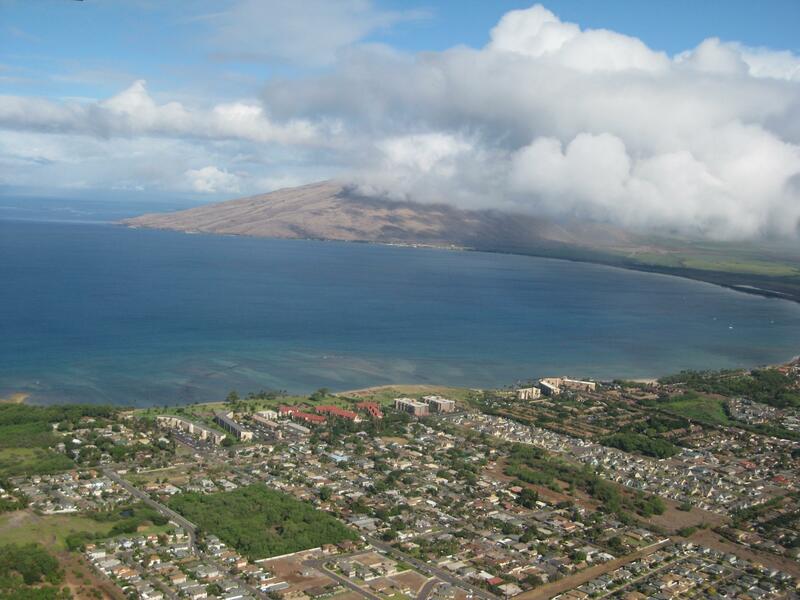 Further north and west is the town of Lahaina. In the days of the tall ships, whale ships filled the waters offshore and whalers spent their leave time on shore carousing with the natives. In modern times you will see tourists dangling from Parasails behind boats. We monitor the altitude to insure we don’t take home any non-paying passengers. Unfortunately, the islands of Molokai and Lanai are socked in with very low vis so Rick suggests: “Let’s take it up to 12,000-we can fly over the mountain”. OK, but that’s going to take some time. The Cessna’s rate of climb gets pretty anemic after 7,000 feet. Still the view was glorious. I could see the big island from here and the top of Mt. Haleakala poking through the clouds. 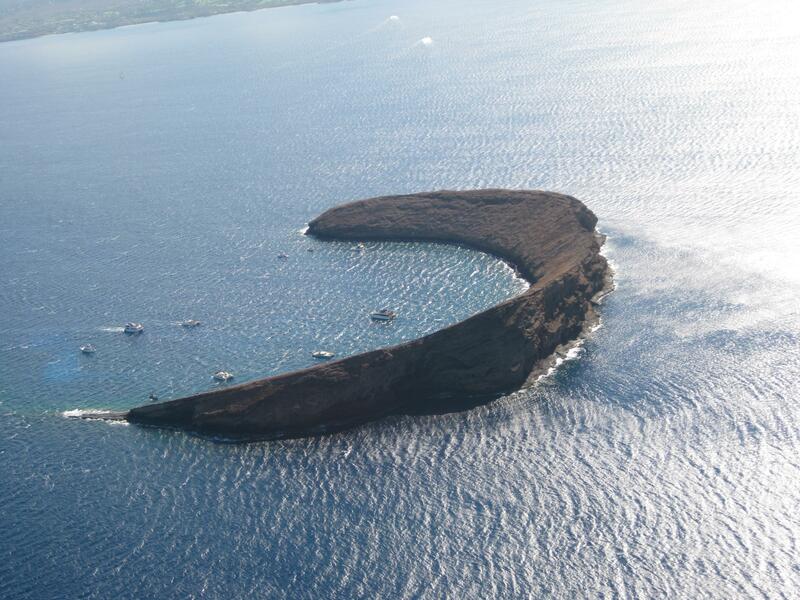 Rising from sea level to 10,025 feet in four horizontal miles, it is the largest dormant volcano in the state and the site of the last eruption on Maui 200 years ago. You can just see into crater, where the astronauts once trained. We flew over Science City and the observatory but again, clouds were a problem. We could continue over the mountain but we couldn’t land without filing so we spiraled down to 1,500 feet to make our way back to the airport the long way. Visibility was terrible but Rick insisted it was “five miles for sure”. I finally caught sight of the sugar cane mill smokestacks, hung a right turn, and tower advised I was number two behind a 767. My wife could see me smiling from the back seat as I touched down in the rain on 7.000 X 150.runway One of the best entries ever into the logbook. Sounds like my BFR in Feb. 02. 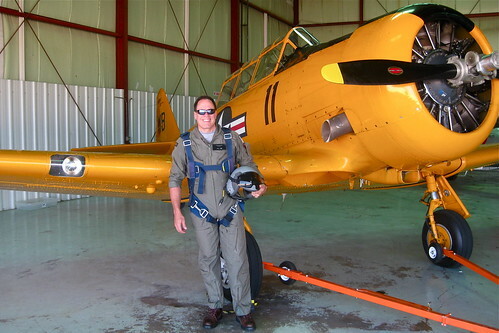 Great flight with “mandatory” hemispheric rule down to 500′ and the instructor making “mandatory” position radio calls. I would have had a heck of a time calling the Hawaiian location names. 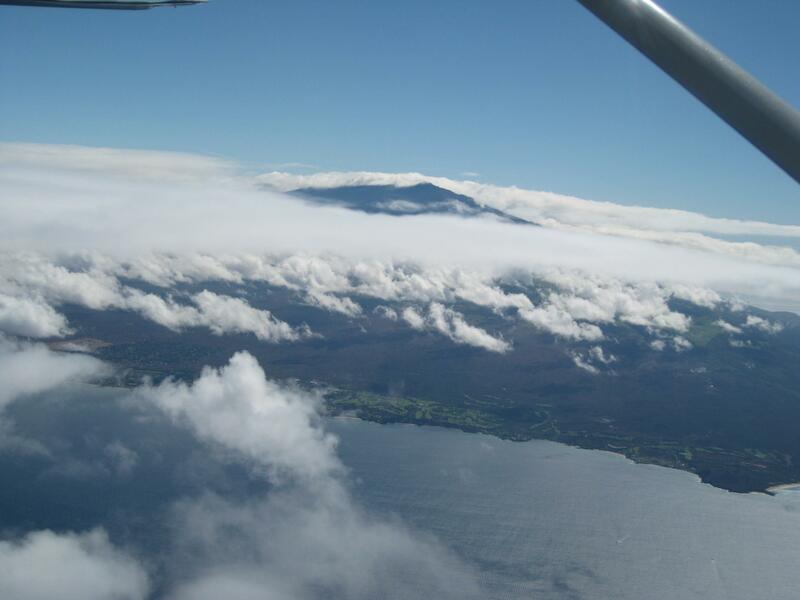 VFR arrival into Kahalui with Approach requesting to keep our speed up and the instructor replying “full throttle”. 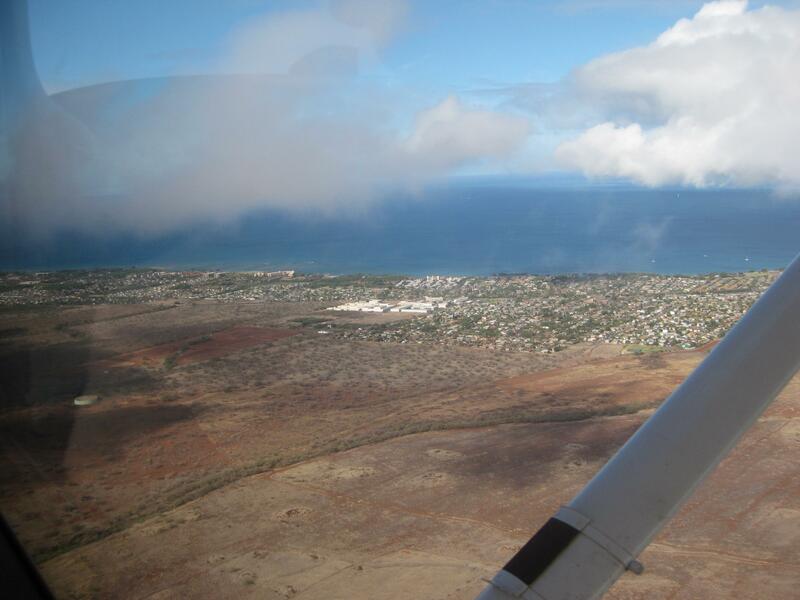 Then finally circling Kahalui harbor until the tower could sequence us between a 717 and (I think) a Dash 8. Hawaii has numerous names that I routinely mangled and I was grateful to have the instructor in the right seat, if only for that reason. We kept it to 1,000 but the visibility on the way back was not as advertised on the ATIS. The airport went IFR just after we touched down and the FBO was cancelling it’s training sessions. I wanted to fly from Kapalua (JHM) but flights were restricted to part 121 and part 135 operations. It would have been a lot easier than maintaining spacing between really big jets and “caution wake turbulence” warnings. Still-what a place for general aviation! If I ever get back I’d really like to spend time island hopping in a plane or flying (instead of driving) to Hana.